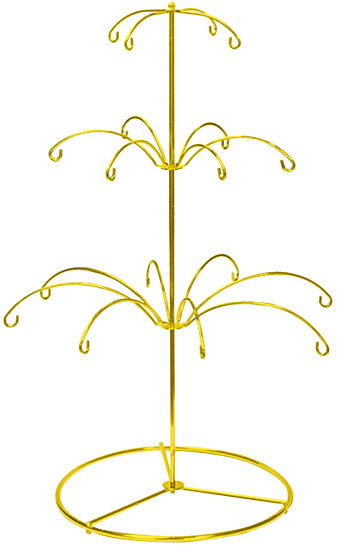 ORNAMENT HANGERS & DISPLAY STANDS with MULTIPLE HOOKS are an Attractive Way to Display Ornaments, Heirlooms and Collectibles ANY Season of the Year. Stands A-D are FULLY Assembled. Stands E-H are Shipped FLAT for Great Freight Savings - and are Easily Assembled Without Tools. 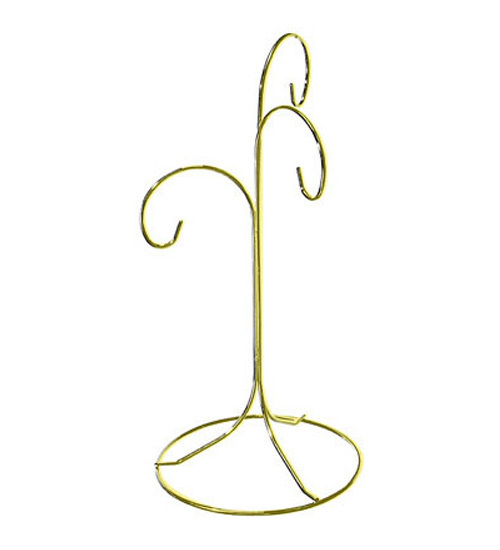 Handsomely Crafted Display Stands are Brass or Chrome(Silver) Finished Wire In Smooth and Spiral Designs. 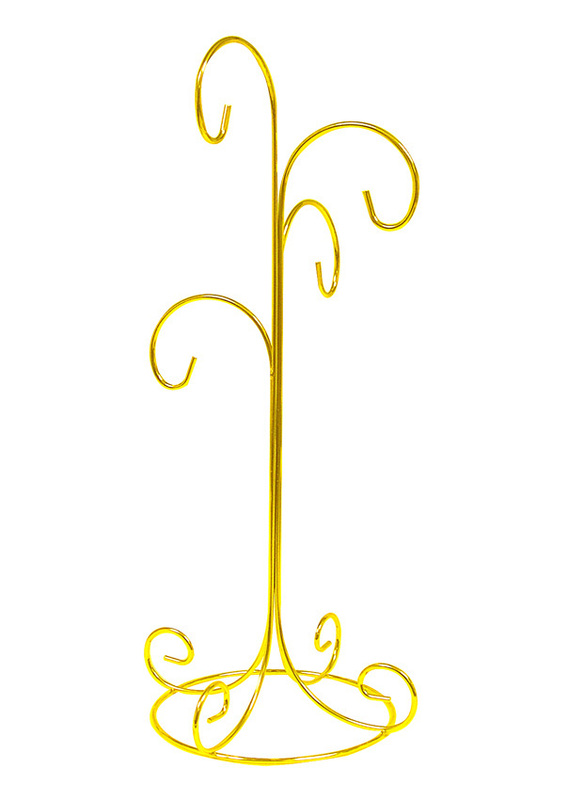 Stands Come Fully Assembled - or are Easy To Assemble with No Tools Necessary. 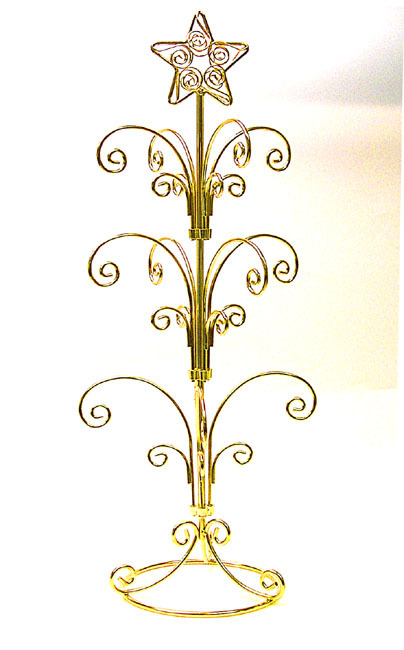 Elegant Centerpiece makes an ideal display stand for holidays, weddings, showers, anniversaries and much more. 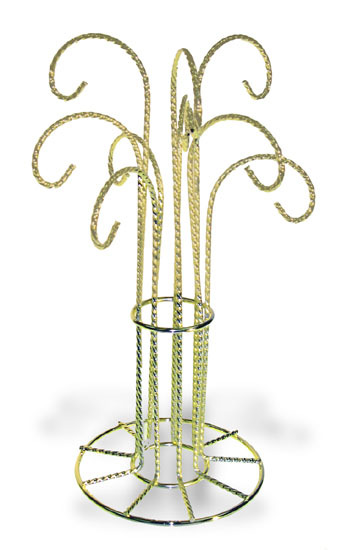 All metal centerpiece has a glossy white finish and measures 13-1/4"H x 7-3/4"W. Quickly and easily assembled without tools. And just as easy to take down for storage.